Xamarin was a software company founded in 2011. In 2016, Xamarin was acquired by Microsoft. Xamarin provides the tools which can help build cross-platform mobile applications that have all the features of native apps and also share a common codebase. With the codes in Xamarin written mostly in C#, Xamarin tools can be used by developers to write native, Android, iOS and Windows apps with native user interfaces. These codes can also be shared across various platforms which includes Mac’s OS & Windows. Xamarin also supports wearable devices, so native apps can be developed for Android wearable or Apple watch. Xamarin converts the native languages like Java & Objective-C used for Android and iOS languages to C#, which helps developers code in a familiar language. Further, C# can also be used by developers to code for both the platforms without having to remember a lot of Syntax. Since Xamarin enables cross-platform app development, especially for mobile and gaming apps, this platform is gaining momentum and becoming increasingly popular. Xamarin also allows developers to share 90% of the codebase across various platforms and has a community of almost 1.4 million developers. When apps are developed and used for a particular platform or device, they are known as native apps. Native apps are used for specific platforms and are written in specific programming languages like Java, Swift or Objective-C. Since native apps are platform specific, they can take full advantage of these platforms and perform optimally. Native apps are also highly reliable and since they are platform specific apps, they can be leveraged to take full advantage of the latest technologies. Due to all these traits, the native apps will be able to provide the best user experience which is fast, fluid and has total access to all the device features. Since a native app can be directly installed on a mobile device, the data associated with such native apps can be stored remotely, on the cloud or on the device itself which results in fast and responsive software performance. Xamarin uses one technology stack C# to be used for creating apps for multiple platforms. Native apps are platform specific, so they cannot be used for multiple platforms. 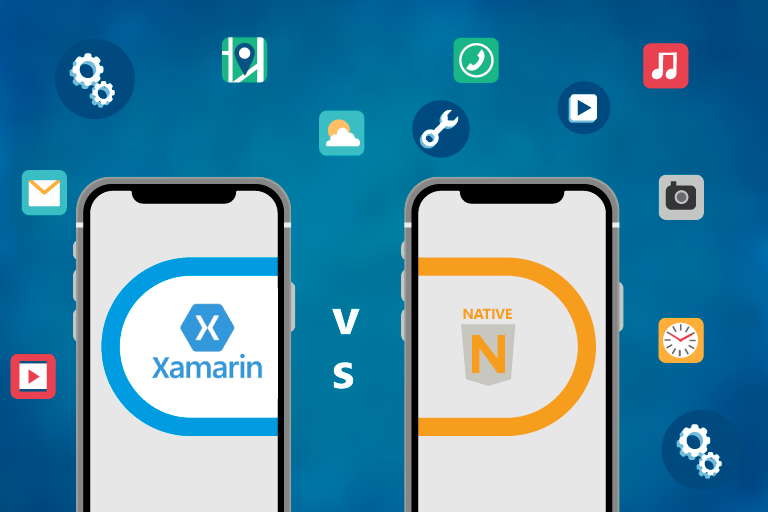 The development time for Xamarin apps is less as compared to Native apps as developers can skip the additional development time required for each platform. Developing native apps consumes comparatively more time than Xamarin apps since it is platform specific. So, the features of the app need to be designed according to requirements of the platforms. Xamarin at times doesn’t support custom plug-ins or widgets. For e.g. a custom keyboard plug-in or a custom widget for screen time etc. Since native apps are platform specific, they support all the custom plug-ins and widgets. Developers with knowledge of C# and some basic knowledge of native languages can also create Xamarin apps because Xamarin uses C# to create apps for different platforms. Hence, less investment is required when it comes to hiring a team of developers for Xamarin app development. For Native apps, the developers should have a detailed knowledge of the specific platform for which they intend to create the apps. E.g. Objective-C, Swift or Java. So, a considerable amount of investment will be required if apps for various native platforms need to be developed. The support for Xamarin libraries is not as fine as that of the Android SDK and also most libraries will need to be ported to Xamarin. For Android SDK, there’s a lot of extensive documentation available for iOS and Android and the speed to market of Android or iOS apps is quicker. There are also a lot of resources available to resolve issues if you get stuck while developing native apps. If your business has a limited budget and, if you intend to develop & release the apps quickly, then, Xamarin apps are the best. For Xamarin apps, you need to have a team of developers who have a good knowledge of C# and basic knowledge of native apps. With such a team you can create and release Xamarin apps within a short period of time as compared to Native apps. If you want to create apps for both iOS and Android platforms, you can start with Xamarin as it uses C# and can create apps for both the platforms with one codebase. Unity is used for developing gaming apps. Unity also uses C#, so it will be easy for your developers to develop gaming apps since they already know the C# language. If you are ready to invest a considerable amount into app development, or if you need to provide customized solutions to your customers who are using different types of platforms, you can opt for native app development. Native apps are more reliable than apps built on cross-platforms. They perform better and have access to all the features of a platform they are built for. Hence, if you are planning to cater to customers looking for solutions, you should go ahead and opt for developing native apps. If you have a considerable budget and if your team size is large with a mix of developers who can develop native apps for both iOS and Android platforms, you can definitely go ahead and develop native apps to cater to various types of customers. 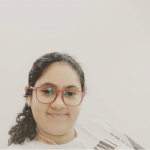 Aesha is a voracious reader who also loves to write various articles and blogs. She's working with Sunflower Lab as a content writer. In her free time, she also loves to read and cook. She frequently uses social media for business and promotions and also handles social media marketing at Sunflower Lab.